"Xeriscape" is an original abstracted watercolor landscape painting in the Abstract Reality style. "Xeriscape" is an original abstracted watercolor landscape painting on watercolor paper. The size is 15 x 22 inches. 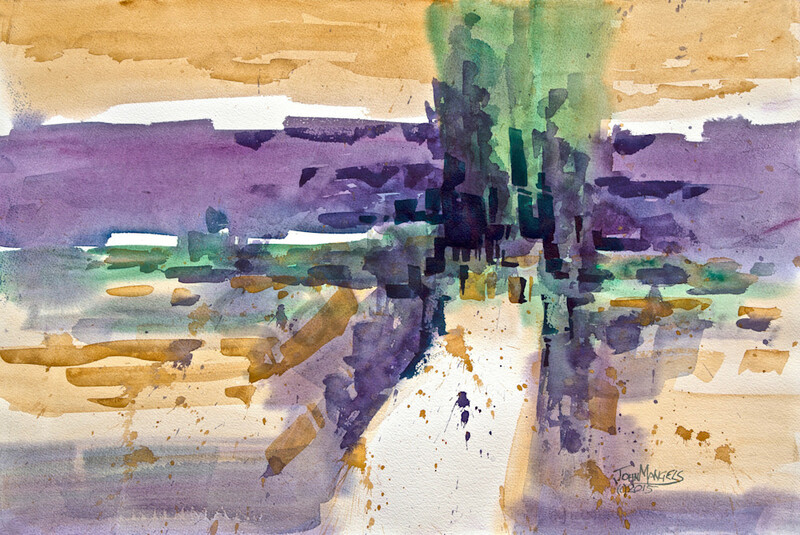 "Xeriscape" is an Abstracted Watercolor Landscape Painting in the Abstracted Reality style. The original painting is 15 x 22 inches on watercolor paper. "Xeriscape" is an abstracted landscape of a desert wash near my home. The painting is very abstracted, but you can still see the desert foliage, the juniper trees and the distant mountains. The desert can be very beautiful. I hope you all can view this beauty in person.